Electric storage heaters, also known as night storage heaters, are essential home appliance that offer cost-effective daytime warmth and comfort by taking advantage of low tariff electricity supplied overnight. While storage heaters used to be seen as an expensive alternative for providing heat at home, that is not the case today. With energy costs soaring, storage heaters provide a competitive source of controllable energy at home compared to other fuels like gas and oil. The heaters draw economy 7 electricity that is supplied during the evening or at night at a cheaper than normal ‘day rate.' The heaters then store the ‘off-peak’ electric energy as thermal energy for heating the home. This significantly cuts heating bills. Early night storage heaters might have been bulky and space consuming, but newer models are smaller and sleeker typically 167mm (6.2in) deep.The latest models are not only slimmer and more energy efficient, but also offer greater control of heat output. They can either bewall-mounted or freestanding. More “intelligent” storage heaters with adjustable, thermostatically controlled dampers and fans ensure that the units run at a low level when rooms are unoccupied and at a higher level when needed. Others monitor the temperatures of rooms at night and use that info to anticipate the next day’s heating needs. A cold night is usually followed by a cold day so the heaters adjust the heat charge accordingly. 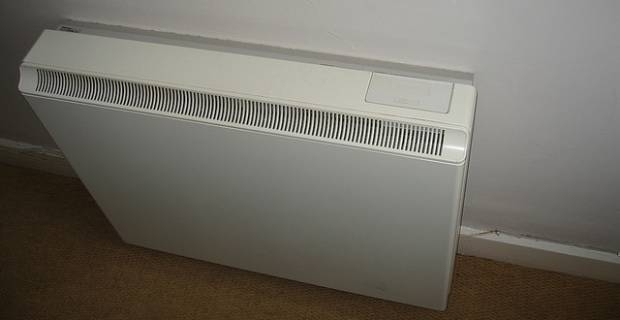 In essence, electric storage heaters are more flexible than central heating systems. They are also more eco friendly than central heating and pose no risk of carbon monoxide poisoning. They don’t require expensive pipe work or plumbing and are 100% efficient. One key disadvantage of using electric storage heaters is that you don’t have instant control over the heat produced. You basically can’t turn up the heat on a cold day or switched off the heater on a warm day. That said, storage heaters will always be cheaper and (for most properties) adequate compared to conventional, direct-acting heaters that use day-rate electricity. Besides, storage heaters are relatively easier to install and essentially maintenance-free once installed.